Keyboard with keys of many different countries’ flags; image by Imran Awan, via Pexels.com. In the era of globalization, almost every law firm and governmental institution faces the necessity of translating documents from one language to another. As a rule, minutes of meetings, commercial contracts, powers of attorney, and other legal documents should be available in two or more languages. However, the problem is that not every legal organization understands why it’s so important to hire an expert translator. When trying to cut the cost, companies utilize the services of inexperienced translators and, as a consequence, face huge issues. Let’s consider five major reasons which prove that the quality of translation plays a crucial role in the legal sector. The price of a translation mistake in the legal sector is too high. One misinterpreted phrase may cause heavy financial loss. Even more, it may lead to a bankruptcy of the company, or even to a financial crisis within the country. This month, Mexico’s central bank has wrongly translated rate-setting meeting minutes from Spanish to English. The translated document contained the phrase “in whatever direction is required”. It made some analysts wrongly believe that the board might have an intention to cut an interest rate. However, it’s not planning to do so. Fortunately, experts noticed this mistake on time and edited the English-language document. They rewrote the phrase to make it clear that the board promises to keep a reference rate at a level, which corresponds with Banco de Mexico’s target. If this mistake left unnoticed, it would harm the bank’s financial stability in the long run. The price of high-quality translation service is not that high. So it’s better to hire the experts, not dilettantes, to make sure that the company will not experience a substantial loss because of one misinterpreted word or phrase. Existing legal systems differ a lot from each other. So, it’s not a surprise that some legal terms are untranslatable to foreign languages. For instance, while the French legal system is a part of the Romano-Germanic family, the English legal system belongs to the common law family. The French system is based on the on statutory codes, and the English system is based on prior judicial decisions. Only a translator who is aware of all these nuances can translate legal documents from French to English without mistakes. 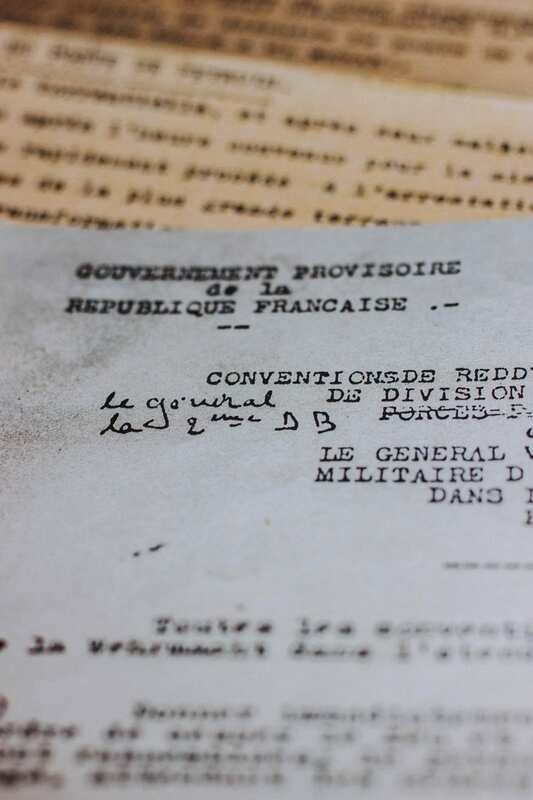 Legal document written in French with edit marks; image by Mat Reding, via unsplash.com. Moreover, a professional translator always takes into account who potential readers are: in which country they live and which level of legal expertise they have. This information is essential for crafting text which will appeal to the target audience. For instance, an expert can translate the French word “Un avocat” as a term “lawyer”, if the document targets a global audience. But if potential readers are from North America, he will choose the country-specific term “attorney”. In case readers live in the United Kingdom, the translator will use the terms “barrister” or “solicitor”. In the legal sector, the importance of a good reputation is hard to overestimate. One small mistake can cause a huge problem and spoil the image of the person, business, and even of the state. Recently, one wrongly translated word caused a scandal between China and Africa. Sponsors of The China-Africa Friendly Night 2019 supposed that the motto of the event would be translated from Chinese to English as “Development, Innovation, Efficiency, and Transcendence”. But a translator made a mistake and interpreted the Chinese character 开拓 not as “development”, but as “exploitation”. Participants of the event, as well as an online community, were outraged by this error. People from all over the world started to criticize China for its growing trade and economic investments in Africa. Many labeled it as “a new era of colonialism”. It’s crucially important to hire an expert translator, who will make interpret every single word correctly. It will save an organization from an international PR scandal and its horrible consequences. High translation speed is a key to success especially when it comes to translation of patent applications, tenders, and copyright registrations, as well as appeals and court decisions. Every day, every hour, and every minute counts. A judge will not postpone a hearing just because an in-house translator asks for two more hours to complete the translation. And if translation takes too long, the company may lose a case. The experts from The World Point emphasize that speed of translation shouldn’t affect its quality. The accuracy of the interpretation should be on the highest level no matter how pressing deadlines are. Obviously, only real professionals in the field can cope with this challenge. Only people with vast experience know how to speed up their working process without worsening the quality of the translation. The last, but not the least important reason why legal companies need an expert translator, is all about fluidity of the law. New legal norms appear every day all around the globe. And translators should keep up to date with the appearance of new legal terms and concepts in both origin and target languages. Everyone will agree that it’s pretty challenging to closely watch the changes in two legal systems at the same. And it’s not a surprise that not many translators are able to do that. Only those people who are passionate about their work and have a background in law may handle this job. Those translators who lack experience and don’t pay attention to the changes in law, shouldn’t work in the legal sector. It’s highly likely that they will make mistakes, which will cost a law firm a fortune. Now you know that while top-notch translation services seem to be pricy, indeed they are worth every penny spent. In legal documents, every single word matters, and translation errors are just unforgivable. For this reason, every legal firm which doesn’t want to risk its reputation and money, should hire an expert translator. It is the only right way to ensure that translated documents will not become a cause of international scandal.